The same Tidewater cuisine which was appreciated in our colonial period is still a major part of Annapolis hospitality. The many pubs and restaurants in town offer Maryland specialties from the Chesapeake Bay. Some even date back to the 18th century. As in colonial Annapolis, music is a part of the ambiance, and almost any night of the week you can find live entertainment in a number of venues. The Chesapeake still plays a major role in commerce, even though Annapolis eventually lost out on the shipping trade to a much deeper harbor in Baltimore. Recreational boating, fishing, sailing and racing are activities that take place year round in Annapolis and are responsible for a vigorous maritime industry. Supply and service establishments dot the shoreline and comprise a major part of the local economy. Annapolis is a very popular port of call for international sailors and its anchorage features transoms from all over the world. Four years ago, the Whitbread competitors stopped here, and this spring the Volvo fleet returned. 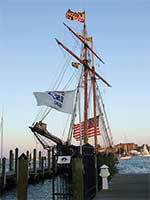 An annual Maritime Heritage festival is held on the City Dock to celebrate this aspect of the Annapolis lifestyle. In the fall, the largest in the water boat shows in the world are held on successive weekends for sail and power enthusiasts respectively. Rock Hall, located in Kent County on Maryland’s Upper Eastern Shore can be dated back to 1707. Fishing and seafood processing used to be the foundation of this town’s economic base. Still an active commercial fishing harbor, the town’s economy now relies more heavily on the sailing and recreational boating sector that bring in tourists from Philadelphia and the western shore of Maryland. Still recognizing its strong ties to commercial seafood, one of the three museums in the town is a waterman’s museum. Centrally located in the Chesapeake Bay region, Tilghman Island can trace its commercial fishing roots back to the 1800’s. Life on Tilghman Island during that time centered largely on the water and the land. Commercial Fishing and farming were the two main ways of life and continued as such for many years. While the shucking houses and processing plants that flourished in the past are no longer in operation, the Island predominately remains a fishing village. Dogwood Harbor on Tilghman Island is home to the last operational Skipjack fleet in North America. 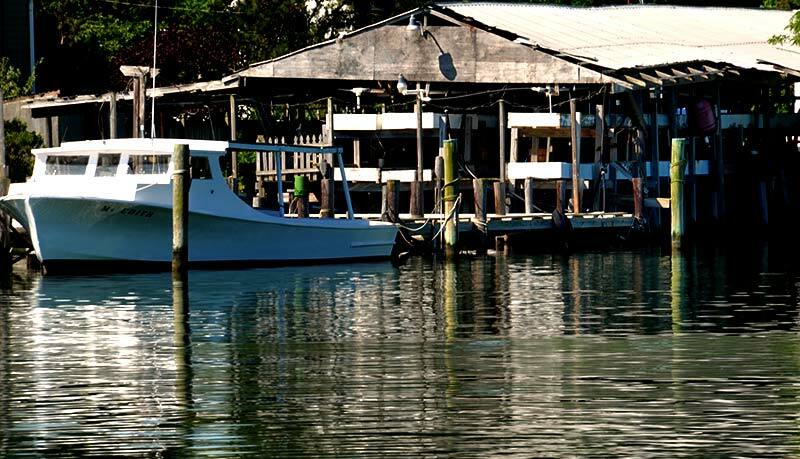 Smith Island, which is only accessible by boat, is a true fishing village. In the mid 1800’s oystering and crabbing became the prominent industries sustaining the island and did so for much of the next century. With the decline of the native oyster population, many watermen now have to rely on crabbing to make their livings. Crab shanty’s, where they shed soft crabs, dot the landscape as you make your way to the island. Known today for being more of a tourist destination once was a thriving ship building town and home to watermen. The oyster industry employed many workers harvesting out of the Miles River and Eastern Bay and also working the shucking houses along the waterfront. Today, St. Michaels is home to the Chesapeake Bay Maritime Museum which houses an array of exhibits on the watermen and their heritage.